Survey data is a critical leveraging tool for all PR pros. A practitioner at a client meeting prepared with survey results from a well designed and executed study is no PR pro to mess with. Attention-grabbing and sometimes slightly out of the ordinary results could be the perfect approach for client and brand exposure. Sharing significant statistics without a doubt pique’s the public’s interest and even makes good use for an informative infographic. A recent PR Daily article titled, “9 tips for effective PR surveys,” gives practitioners fresh angles on how to carry out valuable, result driven surveys. 1. Keep the questions short. Always focus on the key objectives of the survey you are conducting. Keep both the questions and the length of the survey to a minimum. If it takes too long to take the survey you may bore participants who will decide to rush through it. 2. Use closed questions. If you are planning to report mean scores and percentages then avoid including open-ended questions within your survey. 3. Use credible stories. Make sure you construct your survey in a way that is relatable to your target audience and the key objectives you are researching. You can do this by including real-life examples and scenarios within the survey. 4. Don’t force answers. Creating a survey can sometimes be tricky. How a question is worded or limited answer choices can easily skew the results. Remember, you want your findings to back up valid points you are trying to convey. If results don’t match up or are easily skewed you could lose credibility in the eyes of both a client and the public. 5. Beware of sample size. For best results limit your sample size to 1,000 interviews when generating results from national or generally representative surveys. 6. Think internationally. Consider conducting a survey within various countries and regions. There are many websites online that are not as pricey as you may think. International surveys can provide eye-opening results as to how others perceive your brand. International data could provide resourceful results, leading you to creative ideas to kick-start a new campaign. 7. Consider location and sample size Be cautious if you are planning to combine regional and national survey results, without including an adequate sample size. 8. Reconsider ranking questions Sometimes reporting the results of ranking questions can be difficult. The author of the article asks the reader if they are interested in the rank order overall or the percentage who mentioned specific items in the rank order. Also, be sure not to use rank order and rating questions interchangeably. Rating questions asks survey participants to compare different items using a rating scale. 9. 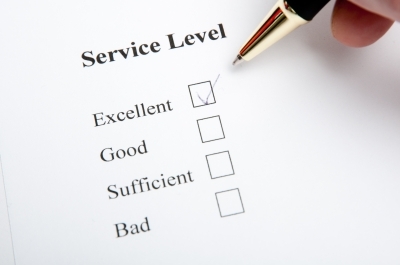 Be realistic with business-to-business surveys Be practical when constructing business-to-business surveys. Consider which employees are most appropriate to reach out to in order to receive valid results. There are other decision makers aside from the CEO who may be more knowledgeable about specific topics and information. In your opinion, what does an effective survey include? How do you analyze survey data to be sure the results aren’t skewed? Let us know in the comment section below. This entry was posted in Tips & Advice and tagged Advice, Analyze, Data, Polls, PR, PR Tips, Research, Results, Samples, Surveys, Tips by pprablog. Bookmark the permalink.